Elves have many jobs, including helping Santa Claus tend the reindeer. 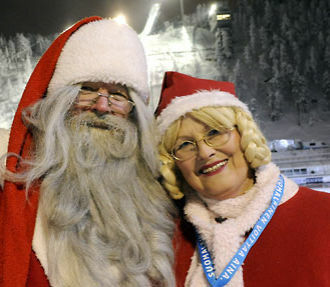 Elves tend to shy away from grown-ups, but our reporter used his contacts in Finnish Lapland to catch up with Crackers, one of Santa’s elves, for a rare, exclusive interview. Are you friends with Santa Claus? Well, he is more like a father than a friend to me! We have very respectful relationship. 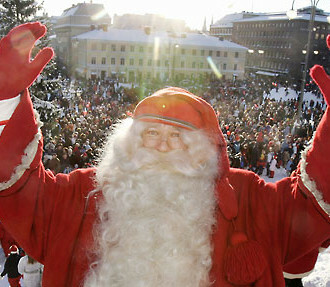 We live in our special place at Korvatunturi, a mountain in Finnish Lapland where Santa Claus makes his home. Some kids think I eat jumping beans in the morning, but actually I get my energy from oat porridge; that’s my favorite food. We elves love porridge! What is your elf job during the holiday season? To make families’ holidays unforgettable! And to remind them that life can be very nice and wonderful! What do elves do the rest of the year? We work all the time! We like to work! We watch the children to see how nice they are and what they want and need for Christmas. We make the presents, prepare the cards and train the reindeer so they’ll be fit for Christmas Eve. We’re Santa’s helpers and there is so much to do! It takes the whole year to prepare for the big day. What is your favorite part about being an elf? Playing, dancing, jumping and just being with the kids! And seeing in their eyes how happy they are in our snowy Christmas land! Tell us about your relationship with the kids. We are not only their very good friends, but we also get quite a lot of respect from them. They really do listen to us. You might call it authority but we don’t really use such difficult words. If I ask them to be nice and to take care of each other, they do! And still they don’t hesitate to play with us. Perhaps we get respect because of our age – an elf may be hundreds of years old. How would you compare this relationship to the one Santa Claus has with the kids? I guess it’s easier for kids to be friends with the elves. There is only one Santa, but hundreds and hundreds of us elves. The children respect Santa so much that they are often too excited and forget what they wanted to say when they finally meet him. Santa is the high point of their holiday season, and maybe even their year! We’re around all the time! It’s easier to approach us and ask something that is on their minds. And often those questions are about Santa Claus. So we’re like a liaison between the children and Santa. What do you do if you hear that a kid has been naughty? I just stop him for a second to remind him how there is no sense at all in being naughty. It just doesn’t help anyone! And of course I tell them how important it is to be nice. 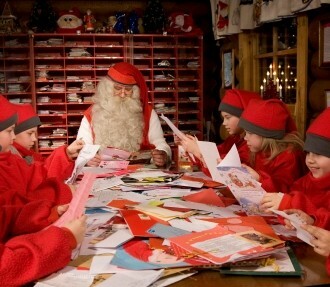 Crackers and other elves can sometimes be found doing field research among the families who stay at Snowy Wilderness Lodge at Pallas Mountain in Muonio, Finnish Lapland.